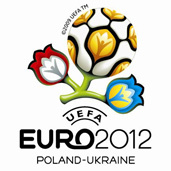 Four Ukrainian cities – Kyiv, Donetsk, Lviv and Kharkiv – have been confirmed as the host cities for the Euro 2012 European Football Championship, with Kyiv being chosen to stage the final, a source in UEFA told Interfax-Ukraine. The UEFA Executive Committee passed this decision at its meeting in Madeira, Portugal, on Dec. 11, the source said. “I’m pleased to tell that thanks to the tremendous efforts of the Ukrainian government we can finally give the green light to a symmetrical tournament with four cities in Poland and Kiev, Lviv, Kharkiv and Donetsk in Ukraine,” UEFA president Michel Platini told a news conference. “There remains considerable work to be done and considerable hoops to jump through. I entirely trust Ukraine and Poland as hosts,” he added. The tournament is being co-hosted with Poland, where four cities — Poznan, Wroclaw, Warsaw and Gdansk — were already confirmed by UEFA as able to host matches.